Anderson Clan Coat of Arms. 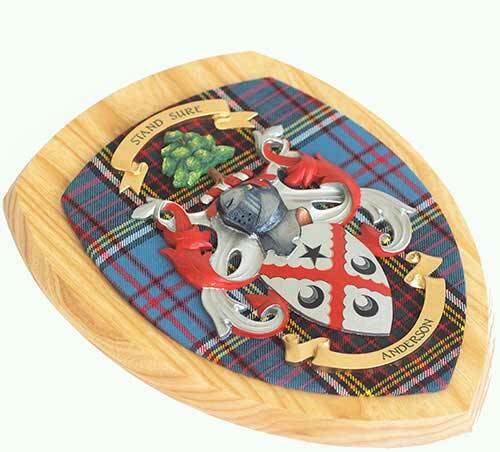 The crest is made from FSC certified Scots Pine with a hand-painted coat of arms which has been mounted on Anderson tartan fabric background. One only available at half price. • Size 26 cm x 31 cm (10" x 12").